Please try to focus on our radila MLCC(multilayer ceramic capacitor) business if you have demands of MLCC, currently we stop accepting order of SMD MLCC, the main reason is there're too many orders on production, thus we are unable to supply new demands, kindly try to understand and support us. MLCC out of stock is a globally situation, mainly results from some famous manufacturers discontinued the standard mlcc, supply structures get adjustments, market demands get increasing. We are still supplying radial, axial MLCC, L/T is 3-5weeks or shorter, and price is always competitive. Never hesitate to enjoy our considerate support., contact with our sales now. Summer holiday is on the way. A wonderful vacation will be started, at the same time do you save for a rainy day to make order plan? Progress is the activity of today and the assurance of tomorrow. Please send us your rough order list without hesitation. Our professional sales will assist you with your tasks efficiently. Below we list our most popular series. You can feel free to contact with us for any component demands. We serve you with our sincerity and thoughtfulness. 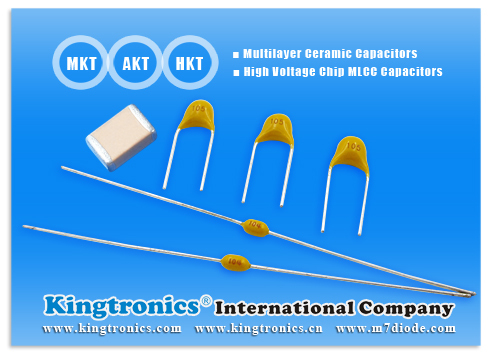 Kt Multilayer Ceramic Capacitors – Various Type, Common Usage and Wide Applications! 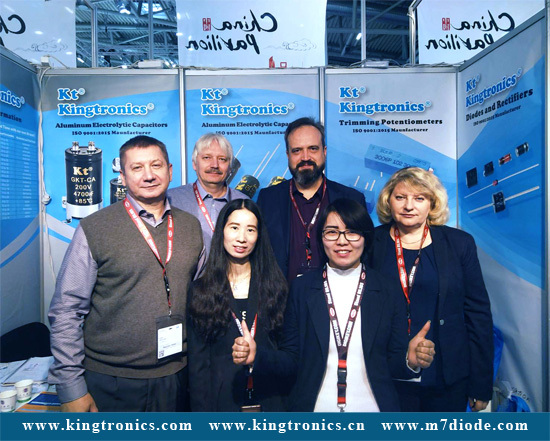 Contact us now info@kingtronics.com or related sales help you get the offer in the first time ! Hot products :BZV55C, BZX55C, Radial MLCC, Radial multialyer ceramic capacitor, Dipped tantalum capacitor. 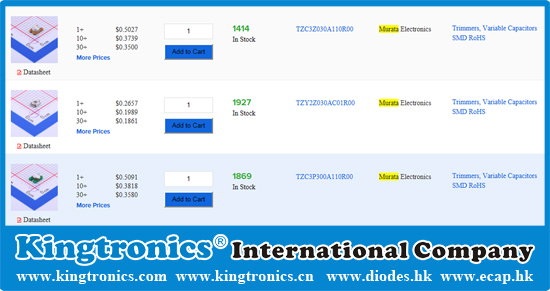 Ceramic capacitors have a variety of different ceramic dielectrics as the basis of the capacitor. Ceramic dielectrics are made from a variety of forms of ceramic dielectric. The exact formulas of the different ceramics used in ceramic capacitors vary from one manufacturer to another but common compounds include titanium dioxide, strontium titanate, and barium titanate. 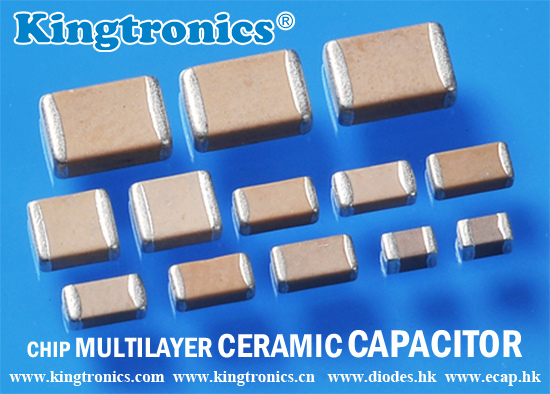 The actual performance of the ceramic capacitors is highly dependent upon the dielectric used. Using modern dielectrics, very high values are available, but it is also necessary to check parameters such as the temperature coefficient and tolerance. 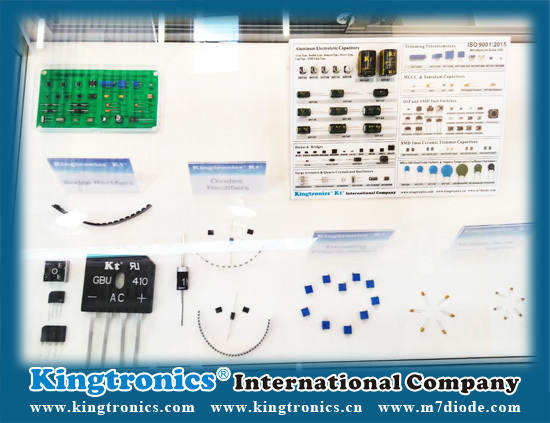 Different levels of performance are often governed by the dielectric used, and therefore it is necessary to choose the type of dielectric in the ceramic capacitor. 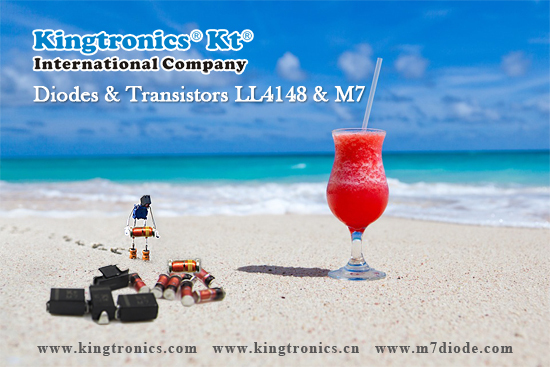 Kingtronics www.kingtronics.com produce and sell Ceramic Capacitors all types. 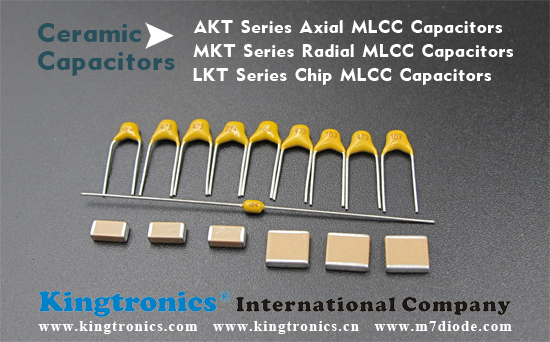 Multilayer Ceramic Capacitors are available in four series in Kingtronics: AKT Series Axial Lead, Axial MLCC Capacitors(Multilayer Ceramic Capacitors), MKT Series Radial MLCC Capacitors(Multilayer Ceramic Capacitors), LKT Series Chip MLCC. Multilayer Ceramic Capacitor(MLCC) is an electronic part that temporarily stores an electrinical charge and the most prevalent type of capacitor today.New technologies have enabled the MLCC manufacturers to follow the trend dictated by smaller and smaller electronic devices such as Cellular telephone,Computers,DSC,DVC,GPS. 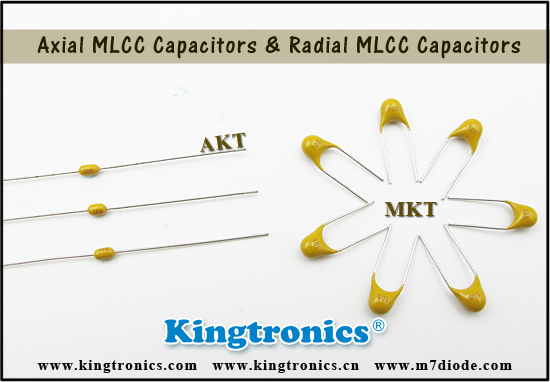 Besides chip mlcc capacitor, Kingtronics radial mlcc capacitor (mono capacitor) is unbeatable in the market - Good price, High quality and Short lead time. Tokyo, Oct 13, 2010 (JCN Newswire via COMTEX) -- Showa Denko K.K. (SDK) will expand nanoparticle titanium-oxide production capacity at its fully-owned subsidiary Showa Titanium Co., Ltd., from 180 tons a month at present to 240 tons a month as from June 2011. The product, sold under the trade name of Super-Titania(TM), is used in the production of multilayer ceramic capacitors (MLCC Capacitors). 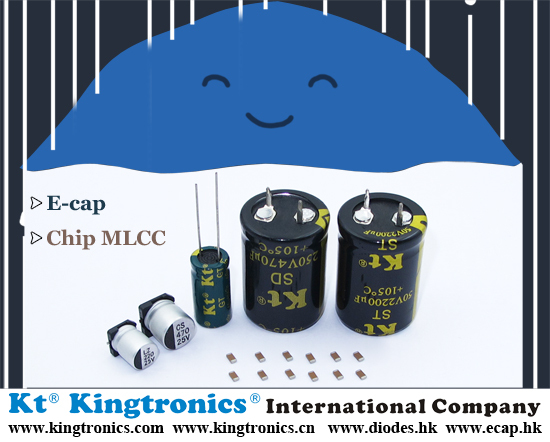 MLCC Capacitors are used mainly in electronic devices that require small size and light weight, such as PCs and mobile phones, as well as in such digital electric appliances as flat-panel TVs. Reflecting increasing demand for these products, the MLCC market is expected to continue growing at around 10% a year. Under the circumstances, Showa Titanium will enhance the efficiency of production facilities for Super-Titania for MLCC applications and increase the number of production lines from three to four. Titanium oxide (TiO2) is used in the production of barium titanate (BaTiO3), which is then used as raw material for dielectric*, one of the basic components of MLCC Capacitors. Furthermore, to produce small and high-capacity MLCC Capacitors, it is necessary to obtain high-purity, fine-particle BaTiO3. While there are two different processes for the production of BaTiO3 (solid-phase and liquid-phase**), fine-particle TiO2 is required for the solid-phase process, which enables low-cost production of BaTiO3 with superior dielectric properties. As Showa Titanium uses the most advanced process control technology, the company can provide Super-Titania in ultra-fine particle sizes, ranging from 15 to 250 nm (1 nm:one-millionth of mm). 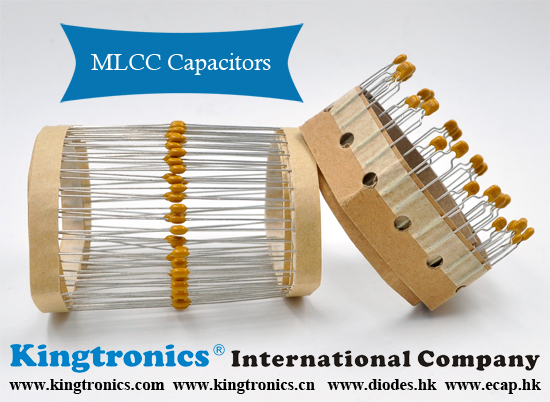 The product also has high purity, ensuring the production of MLCC Capacitors with smaller size and higher capacity. In addition to the MLCC application, Super-Titania is used in various fillers and photocatalysts. To meet diversified needs of customers, we will provide high-quality products in a stable manner, establishing our leading position on the market. * Dielectric: A material which is an electrical insulator, having the capability to store electricity and to discharge electricity instantly. As its dielectric properties improve, dielectric comes to have higher capacity to store electricity. ** Solid-phase and liquid-phase: Processes for the production of fine ceramics, including BaTiO3. In the solid-phase process, materials are mixed, and baked at high temperatures, resulting in synthesis of compounds through chemical reactions. In the liquid-phase process, materials are dissolved in a solution and undergo chemical reactions. Then the materials are baked at low temperatures, and converted into compounds.